Non-core corporate divestitures require a buyer with unique skills. Overlapping customers, vendors, joint marketing agreements and reputation are all considerations in a divestiture. CoBe Capital is committed to meeting and exceeding the seller’s expectations. We understand that our success depends on well-executed business operations post-close. 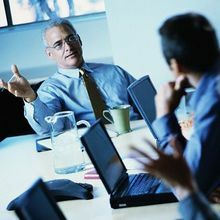 We carefully listen to these objectives, and tailor each transaction to meet all the objectives of the corporate seller.